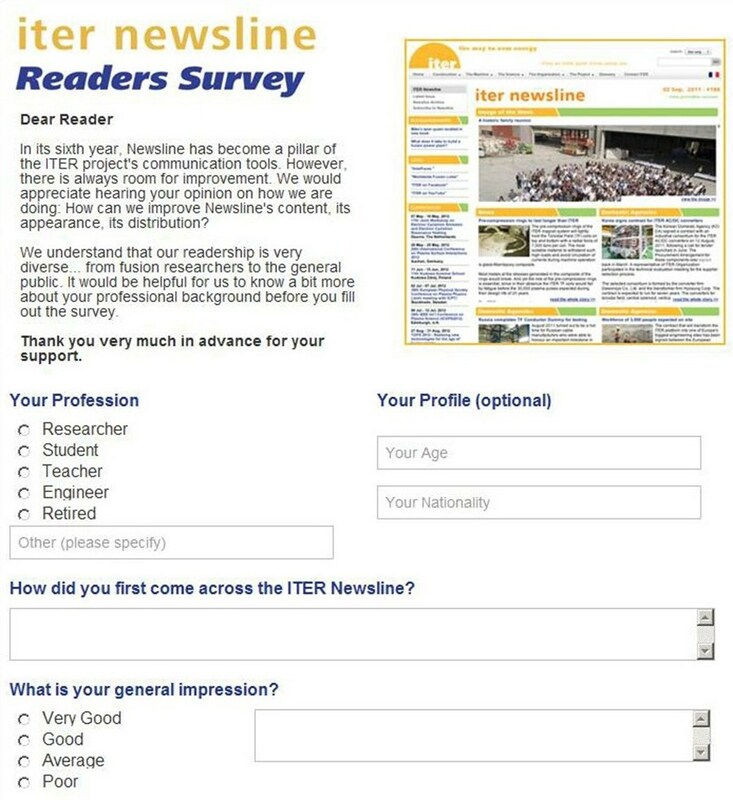 In its sixth year, Newsline has become a pillar of ITER project communication. However, there is always room for improvement. 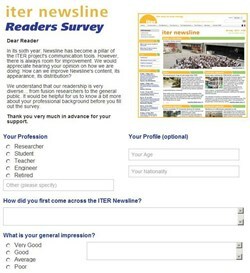 We would appreciate hearing your opinion on how we are doing: How can we improve Newsline's content, its appearance, its distribution? We understand that our readership is very diverse ... ranging from fusion researchers to the general public. It would be helpful for us to know a bit more about your professional background before you fill out the survey.